After having spent a total of just over 5 months in Europe in the past year and a half, I often get asked about my favorites there: my favorite country, my favorite experience, my favorite food, etc. It's always really difficult to pinpoint these; Europe is SO diverse and every country is so different that it is often impossible to make fair comparisons. Even the question of my favorite European capital is one I can't give a straight answer to. There are simply too many amazing cities in Europe. 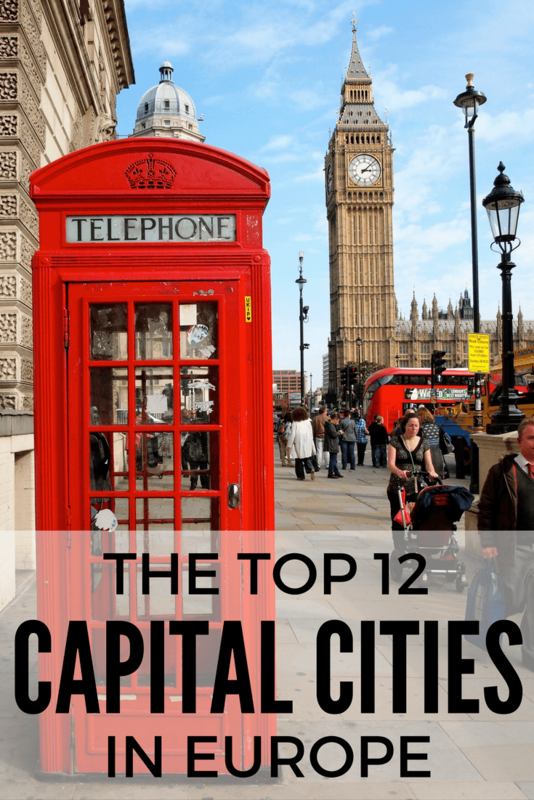 So, instead of telling you about my favorite European capital, I'm going to tell you about my top 12 capital cities in Europe (so far). I've been to Dublin multiple times, and am more and more charmed by the Irish capital each time I visit. (Which is saying something, since it's rained on most of my visits.) 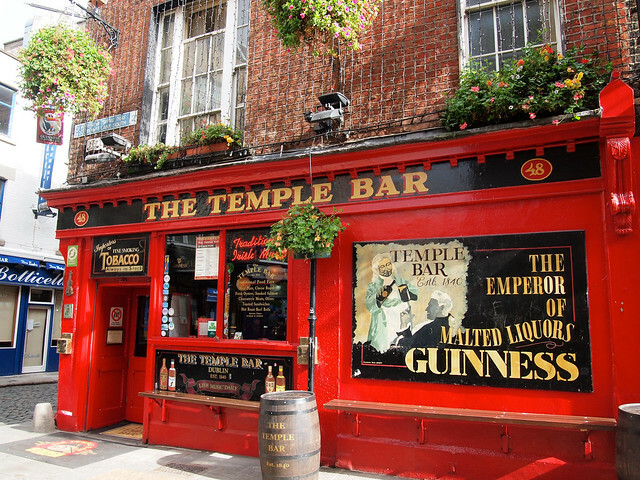 As far as European capital cities go, Dublin isn't necessarily the most beautiful, but it IS really fun. 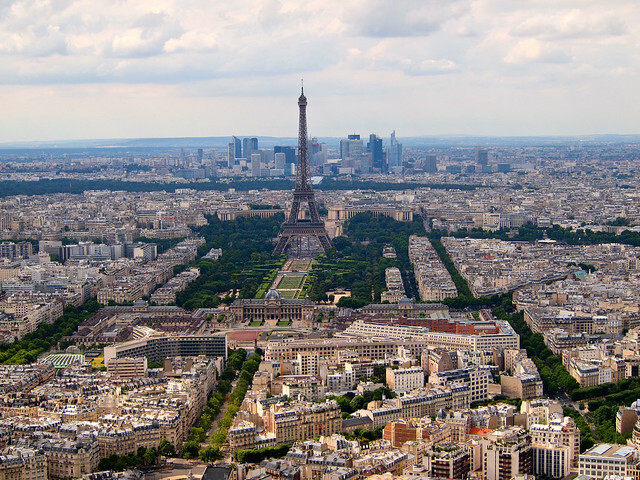 Paris is one of those cities that most girls (in America, at least) daydream about. In our minds, it just oozes with style and romance. And, in reality, Paris is indeed a beautiful capital city. Seeing all the famous sights like the Eiffel Tower and Notre Dame were a highlight of the beginning of my second trip to Europe, and it's definitely a city I plan to visit again (hopefully next time with a special someone in tow). I feel like Norway's capital often gets overlooked for other parts of the country like Bergen and the fjords – but you know what? Oslo is totally cool! If you're planning a trip to Norway, be sure to allow at least a couple of days for Oslo. 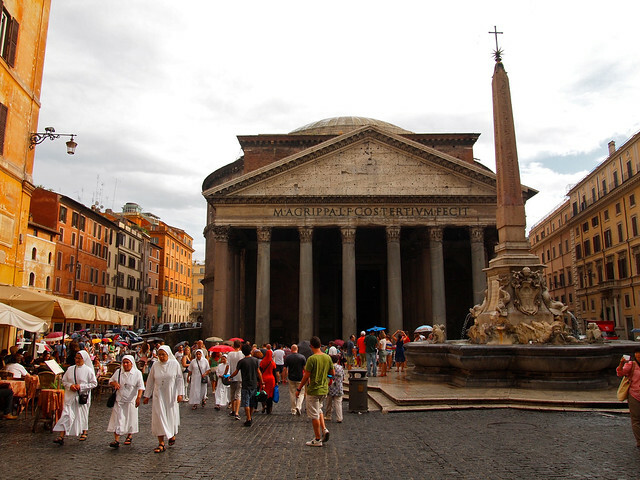 Similarly to Paris, Rome is a city that most people place high up on their bucket lists. I've now been to Rome twice, and it definitely deserves a spot on this list simply because it is so grand and iconic. It's a big city as far as European capitals go, but don't let its size overwhelm you – the history and architecture in Rome is hard to beat! This one might come as a surprise to some people, but I actually really enjoyed my time spent in Warsaw, the capital of Poland. It's not overrun with tourists, yet is an extremely interesting city. I learned about the Warsaw Uprising, enjoyed wandering around the Old Town, and explored green spaces that ranged from parks to cemeteries. The history — did you know that nearly the whole city was destroyed after an uprising during WWII? I'm not ashamed to admit it: I fell in love with Berlin. You could actually say that it was love at first sight, as I felt an immediate connection with Berlin from the moment I arrived. I don't know if it's the alternative culture, the history, or a mixture of the two that draws me to Berlin. But there's no denying that it's a place I can see myself spending a lot of time in in the future. The Baltic countries are ones that you don't often hear much about (at least in comparison to the rest of the countries in Western Europe). But these historic countries all have really cool capital cities. 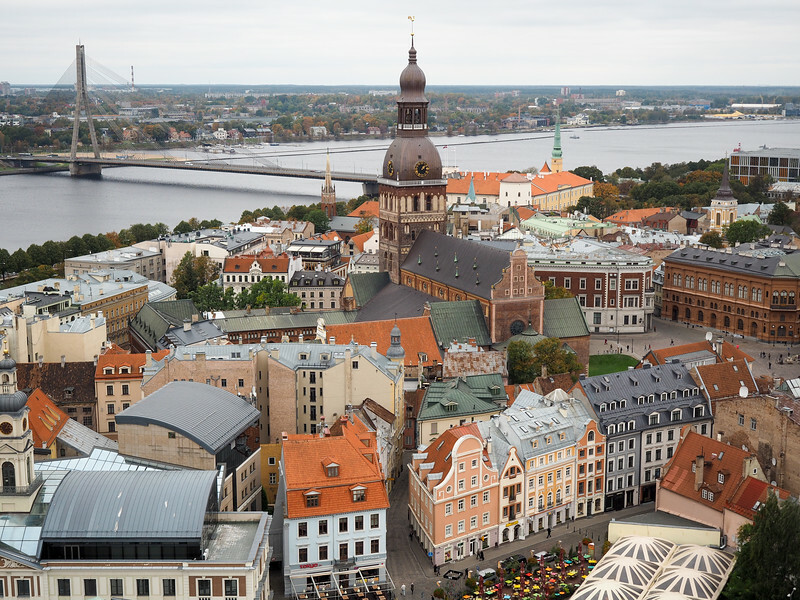 And, so far, my favorite is Riga, the capital of Latvia. The capital of Hungary was a bit of a surprise for me — I never expected to like it as much as I did. But, whether it was strolling along the Danube, visiting a ruin bar, or soaking at the Szechenyi Baths, I found myself loving everything about Budapest. In fact, after visiting Budapest for a second time, it rose even higher on my list of favorite European capitals. Even though many people seem to forget about it since it sits all alone up in the north Atlantic, Iceland is, in fact, part of Europe. And its capital is one of my favorites. Reykjavik reminds me a lot of Wellington, the capital of New Zealand — it's small, sits on a harbor, and is absolutely stunning on the rare sunny days that it sees. 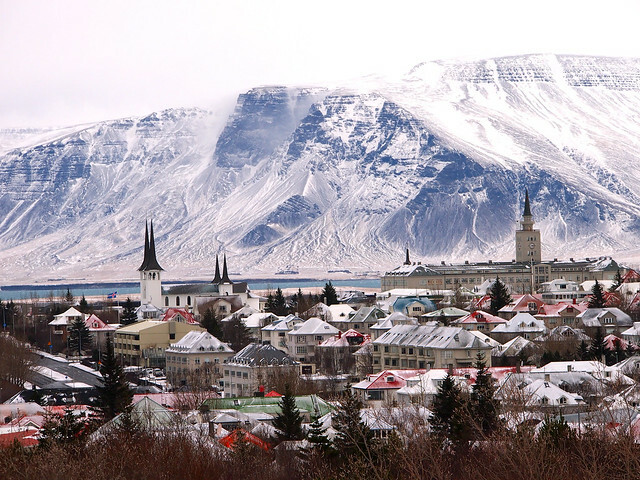 Iceland's capital is also a great jumping-off point for day trips around the western part of the country. If you haven't been to Slovenia yet, what the hell are you waiting for?? Seriously, though, this little country tucked between Italy, Austria, and Croatia is probably one of my favorites in Europe — as is its capital. Filled with bridges, pretty buildings, and laid-back people, I find myself often dreaming of Ljubljana. The Scottish capital is one city that I probably will never tire of visiting. It's not a large European capital like the others listed here, but it still has a unique character all its own. Whether it's roaming around the Old Town or climbing up to quieter parts like Calton Hill, Edinburgh is always enjoyable — even in that moody Scottish weather. August: The Best Time to Be in Edinburgh? Lastly (and this should be no surprise to people who know me) is London– my favorite capital in Europe if you're going to make me choose one. Out of all the cities in Europe, I've spent the most time in London in the past couple of years. And I am absolutely head over heels for it. If I could magically get a work visa and a job offer in London, I would move there tomorrow; maybe even tonight, that's how much I love it. 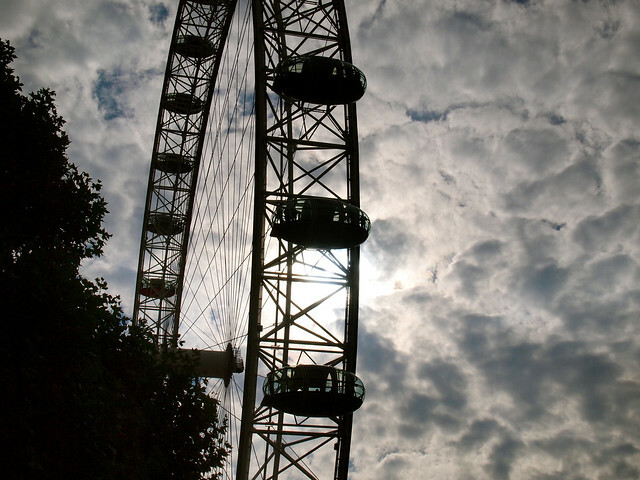 I never used to picture myself living in a huge city — until I went to London for the first time, that is. Now, it's become my dream destination to spend some extended time in. So there you have it — my 10 favorite European capitals. I'm sure this list won't match up to lists others might make (I can already hear your incredulous exclamations that places like Prague aren't on this list), but that's what's so great about travel — every traveler connects with each destination differently. Tell me, which capitals are YOUR favorites in Europe? Glad you enjoyed it, Arti! It’s such an awesome city, isn’t it?? Glad to know another big fan of London! I spent almost all of my adult life (so far!) in London. I love it but being Scottish I’m happy to see Edinburgh on your list too. You can’t get much cooler than a castle right in the centre of town, overlooking the main street. I’m really glad Warsaw made it to that list (and I’m surprised that Prague didn’t;)) It means I did I good job telling you about the place and showing you around 🙂 I’m more than happy that I made you like Poland so much 🙂 you’re welcome to come back anytime! I have a feeling lots of people would put Prague on this list. I LIKE Prague. But I don’t love it. I considered adding Istanbul! I really enjoyed my time there last year. But, like you said, it’s only half in Europe, so would that be cheating? Haha. I really need to get to more capitals in the Balkans like Sarajevo. And the Baltics too, for that matter! Ooo Budapest for the holidays should be lovely! I hope you enjoy it! Yes yes yes! I love your pictures of Reykjavik, by the way. I went in September a couple of years ago and there was no snow, which actually made the city seem greyer – the colourful houses were less obvious and the grey/brown hills surrounding the city made everything seem a bit dull. I’d have to add to this list Madrid, Lisbon, Stockholm, Copenhagen and Vienna. The snow in Reykjavik was definitely pretty! I haven’t been to any of the cities you said you would add (except for Vienna, but I was only there for a night so I don’t count it), but I have a feeling I will love Lisbon when I eventually make it there. My favourite would be Dublin, simply because it was my home for a while. I grew up there, I think, and I like who I was while there. Otherwise, Stockholm. Oh, I cannot get enough of Stockholm. If it weren’t so expensive I would move there. I haven’t been anywhere in Scandinavia yet because of that expense. But I definitely want to check it out someday! And as for feeling like you grew up in Dublin… I feel the same way about Wellington, NZ. I think it’s one of the reasons why it’s one of my favorite cities in the world. Great list! I’ve only been to three of these but I have to agree with you on those! I’m really dying to get to Slovenia and visit Ljubjana! Slovenia is general should be at the top of your travel list! I love everyone’s favorite Europe lists. I think it so interesting to see how each person’s list differs based on tastes and experiences. Budapest, Dublin and Berlin are three of my favorites on your list. I’m giving Paris another shot next year (liked it didn’t love it first time around). London and Edinburgh are on my top places to visit! I cannot believe I haven’t been there yet. You have been to some great European capitals! 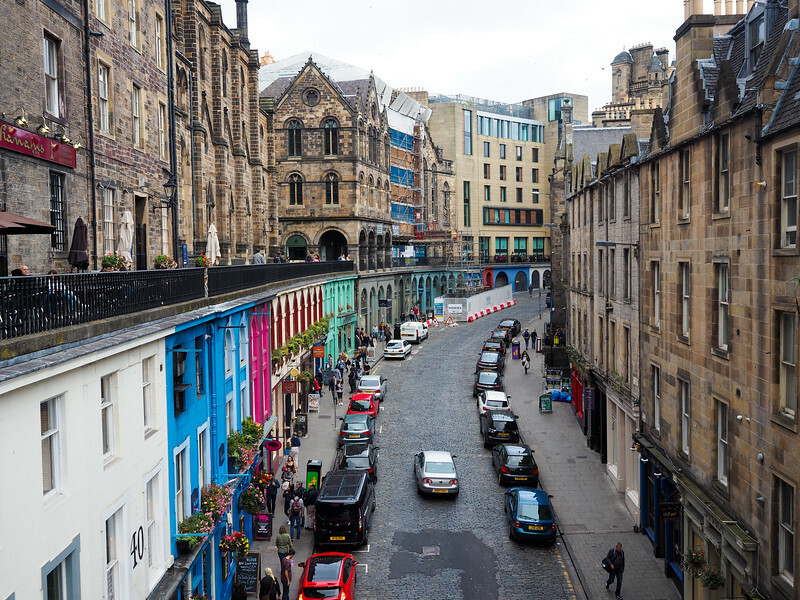 I definitely recommend both London and Edinburgh – both great UK cities! And yes, I like reading these sorts of lists, too. Everyone always has a slightly different opinion! Prague IS gorgeous. But other than looking at pretty buildings, I didn’t find a whole lot else to do in Prague. I will definitely give it another try some other time though! I love London, too. I felt at home there. You feel safe there and like you can get around with no problem because their transportation system is so great. I love the museums, too, and their parks. Just everything about it. We also went when it was a perfectly beautiful two weeks. Hardly any rain. Being in London when the weather is good most certainly helps you fall in love with it. 😉 But yes, I love everything about it. And, as much as Londoners complain about the Tube and buses and all that, they really have it good. We don’t have ANY public transport where I’m from! London, Paris, Madrid & Lisbon are probably my all-time favorites although there are plenty I’ve not been to that I’m sure I would be wowed by. For me, the things that make me fall in love with a capital city are its public transportation system, photogenic appeal, and an incredible array of history! Those are all great reasons to love a city! I think you might like Berlin, too, if you haven’t been there, based on the things you like in cities! The variety of life in London is certainly addictive! Glad you enjoyed it. Forgot to ask. Have you visited Istanbul? It’s a hectic and culturally fascinating city. I think you’d love it! Yes, I have indeed been there! I was almost going to put it on this list, but since it’s half in Asia and half in Europe I wasn’t sure if it counted. Haha. Aww too bad! You’ll definitely have to go back sometime and spend more time there! Woohoo!! 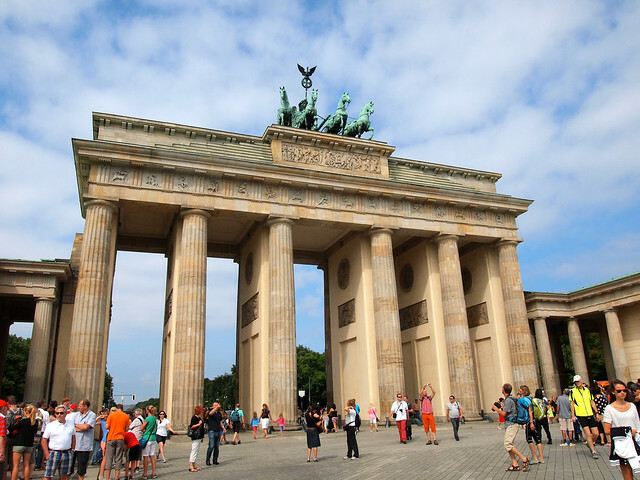 Glad Berlin made #2 on your list – and also good to know you’ve got a soft spot for hipsters! my favorite European capitals till now are Warsaw and Berlin, even if I currently live in London. Warsaw, what can I say? 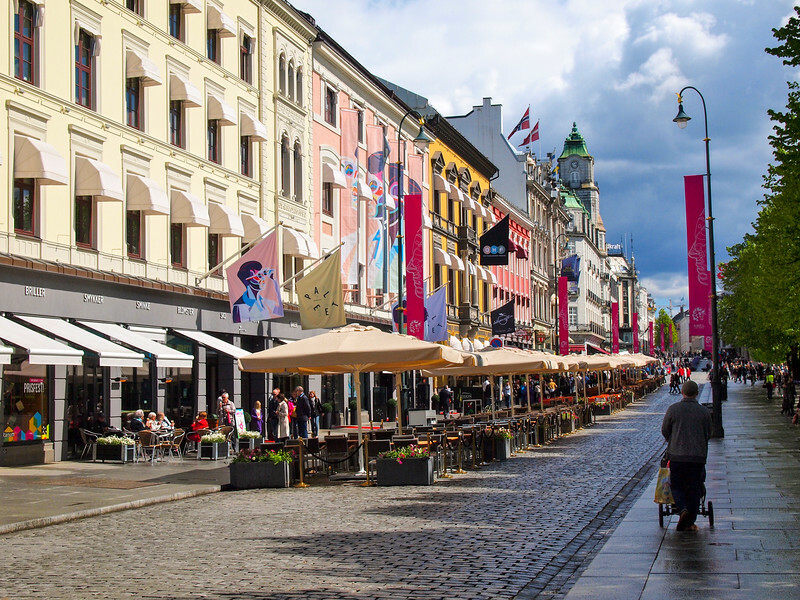 The old town is amazing, the food is so delicious and in comparison to other cities very affordable and the Polish girls are absolutely beautiful. Maybe I like Warsaw so much because of the women, I am just totally into Polish girls. 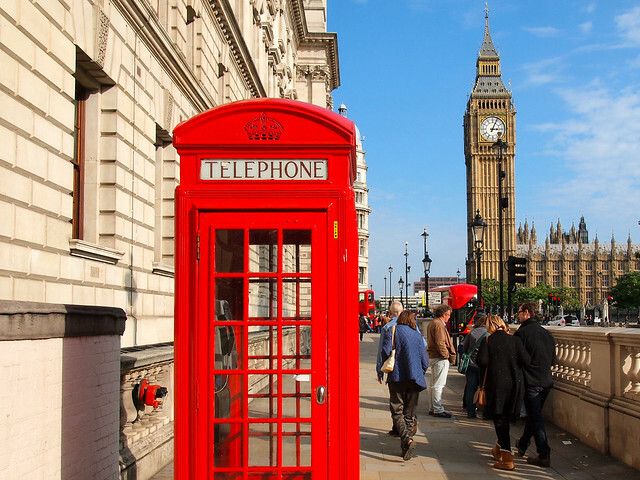 London is amazing too but everything is so expensive and because traveling is one of my biggest passions it is not an option for me to stay there for a few more years. Everything is crowded, the underground is always full and if you want to rent an apartment in the city center you have to be a millionaire. Berlin is also an amazing city. You could say that I have to love Berlin because I am German but the fact is, that I love Berlin so much because it is so untypically German. It is alternative, not so status orientated like other German cities and it is very affordable to live their, even if it is the biggest city in Germany. Warsaw and Berlin do indeed both seem like very affordable cities. I’m glad to hear that you really like them both, too! Definitely love London. But I could also see myself living in Berlin for a while! So glad to see Ljubljana here! Seeing Ljubljana and surrounding countryside including Lake Bled was a highlight among my travel experiences. I didn´t get a chance to visit the Predjama castle (or Grad Predjama as the Slovenians call it) though so I´ll be coming back here for sure. Slovenia as a whole is great – one of my favorite countries thus far! Definitely get out to Predjama Castle (and Postojna Cave, for that matter) next time! And visit Triglav National Park, too, if you haven’t! I’ve finally been getting around to planning my Europe itinerary for this summer. I wasn’t sure about adding Ljubliana, but maybe I’ll try to throw it in there somehow! Would it be worth it even for a few days? I ALWAYS recommend Ljubljana! You could easily see the city in a few days (and could probably visit Postojna Cave and Predjama Castle too), though there are other places in Slovenia (like Bled and Triglav National park) that are must-sees in Slovenia, too! I want to travel to all ten cities!!! I have only had the privilege of traveling to London and Paris. My hubby and I are saving for a big European trip in 2016. I will have to keep this trip in mind! There are soooo many fantastic cities in Europe. You really can’t go wrong with any of these! 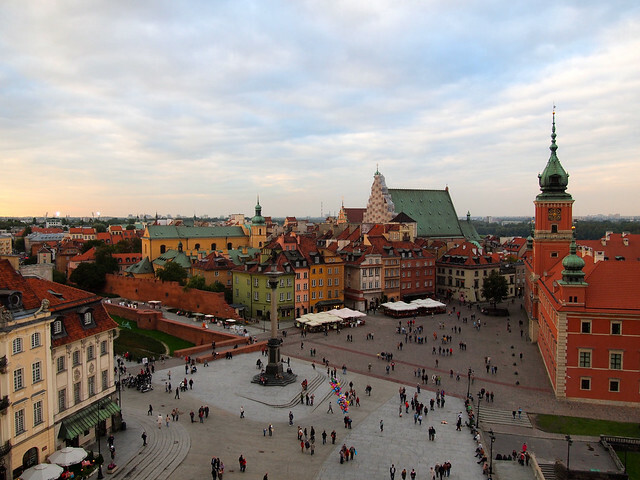 Yes, I DID explore Warsaw outside of the Old Town! I spent an afternoon wandering around Praga with a friend of mine from Warsaw. She made sure I saw ALL sides of the city – which is why I think I ended up loving it so much! 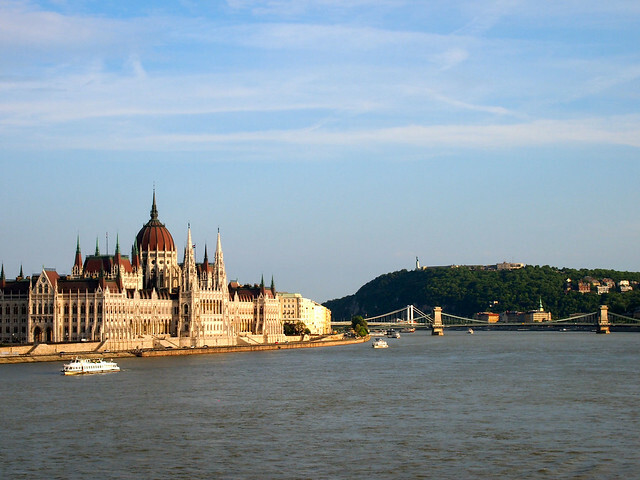 I personally adore Lisbon and Madrid, but I’d also put in Budapest on my list. I think it’s a little downrated. And I hear that plenty of reconstruction-restoration work has been done, so the city’s old parts are said to look better now than several years ago. Budapest is definitely underrated! I love that city. Haven’t been to Lisbon or Madrid yet, but I have a feeling I would love Lisbon based on what I’ve heard/read about it! Love this! I’m a newcomer to your blog, and I find it amazing. Your unique perspectives combined with the great photos make for a really entertaining and informative read. BTW, I could tell you were a journalist even before I read your profile. That reporter’s curiosity comes through! Very inspirational post 🙂 I’m ready for new adventures! There were plenty of cities that I wanted to include here that didn’t quite fit since they aren’t capital cities (like Barcelona!). There are so many cool cities in Europe! Haha! I’ll admit that I haven’t spent nearly enough time in Switzerland! I am heading for Warsaw in early September and found your article on it interesting so I am looking forward to the trip. I will be flying there from Kyiv but see no mention here. For me, Paris is the most extraordinary city I have ever visited and there is nowhere to touch it. Oslo is nice but mindbendingly expensive and London is all about paying for everything. Other cities that I really like are Sarajevo and Belgrade. Both have an edge and are not just about tourists. Another one that I liked, although it was a mess and felt like a chaotic work in progress, was Prishtina. You can keep Tirana and Podgorica though. Don’t bother with them. I haven’t been to Ukraine yet, but maybe someday Kyiv will get added to this list as I’ve heard good things about it! Yes, we all have different tastes – it’s the most interesting thing about travel blogging, if you ask me! This list is based off capitals I have actually spent a decent amount of time in; I’m not including any I haven’t been to yet. The cities that are on the list now reflect the capitals that I really enjoyed and feel are must-sees in Europe.